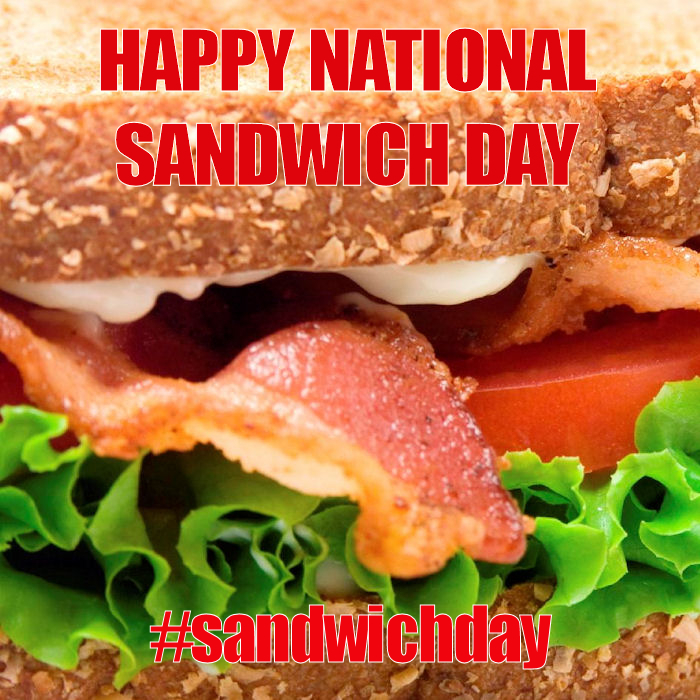 November 3 each year is National Sandwich Day. There seems to be a day for everything celebrated in our country, and we can use each special day in a special way with grandchildren. National Sandwich Day can be a favorite to be celebrated more than just one day, the entire month of November, as it used to be just a few decades ago. You might not think grandchildren would be interested in the history of the sandwich, but this Grandma remembers the story of the Earl of Sandwich learned in elementary school. The creation of the sandwich is attributed specifically to the Fourth Earl of Sandwich, John Montagu,(1718-1792), in England. Yes, the sandwich is named after a real person, but it is really his unknown creative cook who should get the credit. I do not remember the story as reported today, that he was an avid gambler, once playing 24 hours straight and refused to leave the gaming table to eat, and asked his cook to come up with a way he could eat while he could still play. His cook came up with meat between two slices of bread, that could be held in one hand, while the Earl continued playing. It does not matter that, with more information, historians now say that the Earl, a world traveler copied what he had seen in Greece and Turkey with meats and vegetables between pita. It does not matter that sandwiches in the Earl’s time were only enjoyed by adult men during their gambling and drinking parties. Sandwiches later became bar and pub food in England, and a decade later the earliest “fast food” on transportation such as trains. When this Grandma was a child, white bread loaves were called ‘sandwich bread,’ and that started when the GGs (great grandparents) were children in the 1920’s. Let us honor the sandwich of royal beginnings with our grandchildren. So, why is November 3 selected as National Sandwich Day? Let the grandchildren try to guess. John Montague, Fourth Earl of Sandwich, was born Nov 3, 1718. Until the 1980’s we used to celebrate November as National Sandwich Month, and since, celebration has become just one day, but this Grandma thinks there are many valid reasons why we should keep the celebration for the month. Sandwich celebration is every day in today’s world. Our grandchildren eat sandwiches every day. Except when this Grandma is cutting carbs, I eat a sandwich every day. According to the Wheat Flour Institute estimates, reported on the website below, Americans eat about 27,000,000 sandwiches a day, and 40 per cent of all restaurant orders are for sandwiches. Let the grandchildren figure out how big that number is! There are few holidays where bread and rolls are not served with the meal and few holiday meals where those among us do not take the entree and put it between two slices of bread. Let the children think of celebrations that include sandwiches. We can honor the Earl of Sandwich in many creative ways. Take a look at this fabulous resource, The Food Timeline Library, to help us grandparents share history of different kinds of sandwiches (see grilled cheese and peanut butter and jelly histories, grandchildren’s favorites, for example), contests, recipes, and just all around fun facts about sandwiches. Next time we make a grandchild a peanut butter and jelly sandwich, we grandmas can be prepared to share the history of it! With our grandchildren, we can try to think of all of the kinds of breads in the world that are used to make sandwiches, and put them in categories such as ethnic (for example, challah, pita, naan, matzo, bagels, croissants and pumpernickel), variety (for example, white, wheat, rye, and gluten free), enriched white (hot dog rolls, hamburger rolls and white bread) and hearth (crusty breads such as French, Italian, hard rolls and sour dough). We can learn about the different countries, cultures, and societies that have created their own breads, why and how. We can taste them with our grandchildren and create sandwiches from the different countries, cultures, societies. We can have a Greek sandwich day, an Italian sandwich day, and a special family culture sandwich day. The Food Timeline Library can help us with them all. Now we have so many different kinds of sandwiches to discover. We can go into the history of each. On the Library website, we can research the names of special sandwiches. For example, in different parts of America, we call one kind of sandwich, on a long roll, different things, a sub, hero, wedge, hoagie, grinder, Po’Boy, Rich Girl, gondola, torpedo, zepplin. The website gives the history of each! So many sandwich shops name creative sandwiches after famous people or themselves or create new variations of the sandwich. The website above gives you the recipes and all of the whys and wherefores of so many types of sandwiches we eat every day.